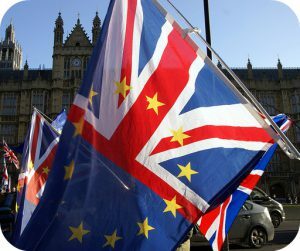 In 2016 a majority of U.K. voters chose to leave the European Union, a controversial decision that led to years of confusion and infighting among lawmakers. In fact, British officials were supposed to have all the details of “Brexit” hammered out by March 29, 2019. They missed that deadline, of course, and unfortunately aren’t any closer to brokering a deal to leave the European economic community. Now the nation faces the risk of crashing out of the EU with no deal in place. Then again, it’s possible that the government could propose another vote that cancels Brexit entirely. At this point, it’s hard to predict what will happen. No matter how this ends, though, the uncertainty surrounding Brexit has already taken a major toll on U.K. businesses. Since the 2016 referendum, banks and financial service firms have transferred thousands of jobs and more than $1 trillion in assets to the European mainland. The U.K.’s economy has also shrunk by as much as 2.5 percent due to the plummeting pound, which has lost more than 10 percent of its value compared to the dollar. For leaders of the world’s biggest companies, the volatile atmosphere created by Brexit has ruined the U.K.’s reputation as a good place to run a business. “Multinational companies came here with a clear understanding that Britain would offer a stable place to do business in exchange for access to the European Union,” said global financial economist Peter Dixon. “The Brits have reneged on that contract. It’s destroyed, if you like, the sense that Britain is such a great place to do business. It’s a credibility hit. It’s a deep wound.” For instance, Japanese automakers like Nissan and Honda originally built production facilities in the U.K. to take advantage of the country’s access to the EU. With Brexit looming on the horizon, however, Honda recently announced it would close a factory in Swindon while Nissan will not build a new SUV at its facilities in Sunderland. Analysts expect the U.K. will see even more high-profile departures as Brexit causes companies to lose their trust in the nation’s ability to do business. How do you think U.K. lawmakers could earn back the trust of the world’s business community? What are the advantages and disadvantages of international economic communities like the EU? Source: Peter S. Goodman, “For Many British Businesses, Brexit Has Already Happened,” The New York Times, April 1, 2019. Photo by ChiralJon.